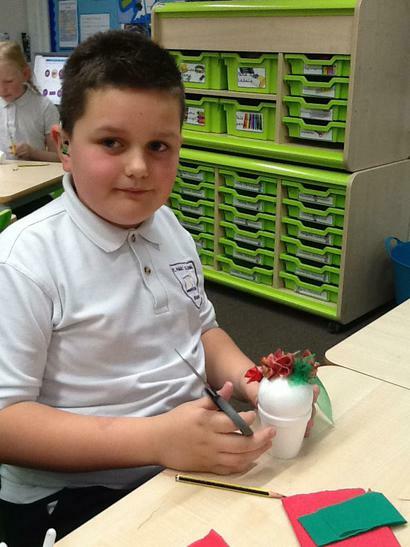 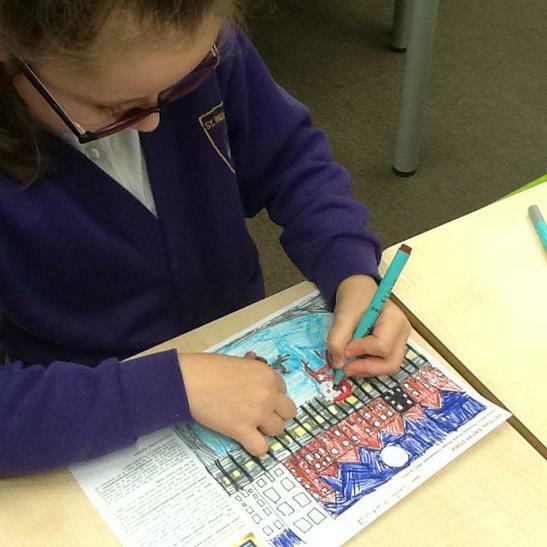 Year 3 and 4 have been busy preparing their very own Christmas baubles! 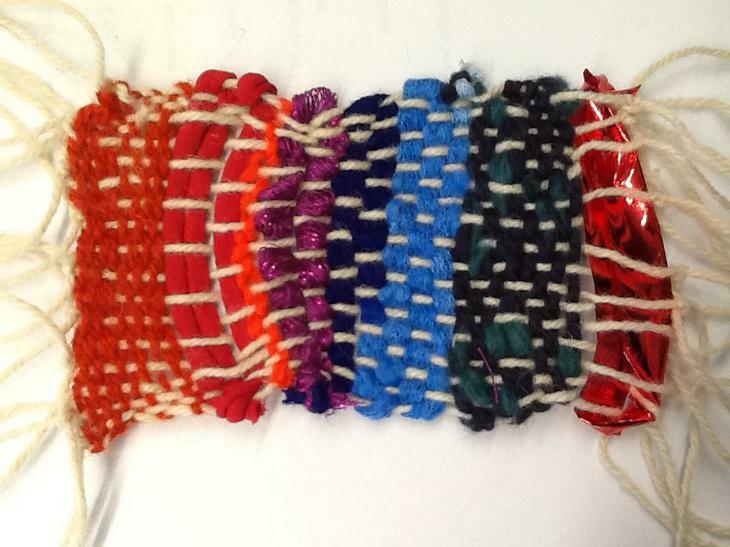 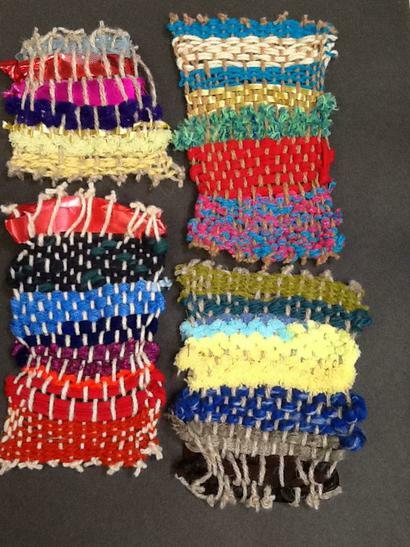 Check out this fantastic weaving from Year 5 and 6! 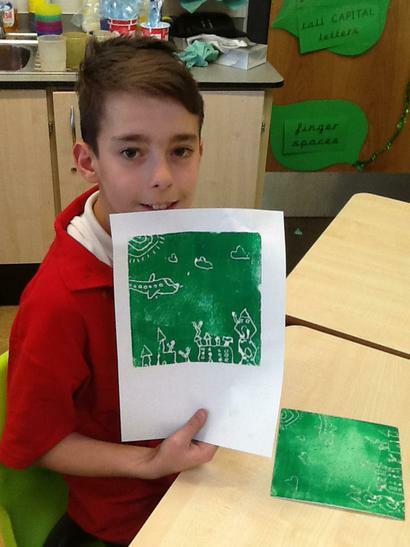 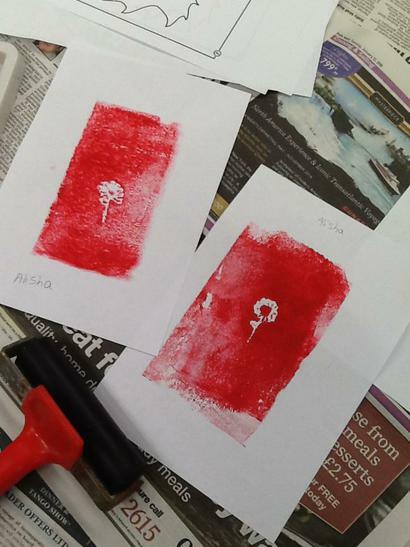 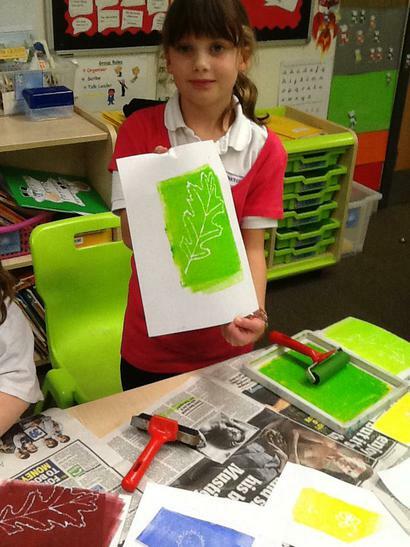 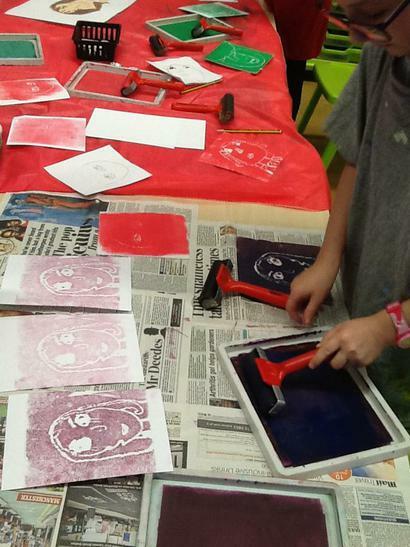 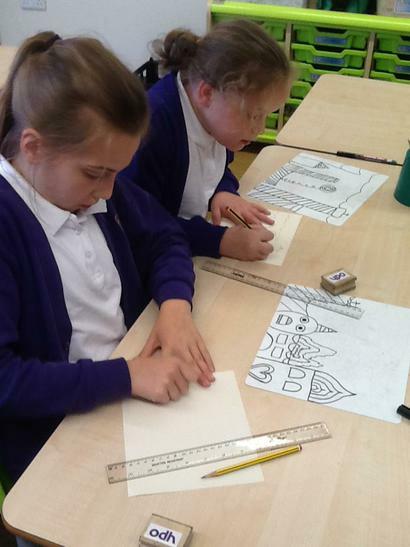 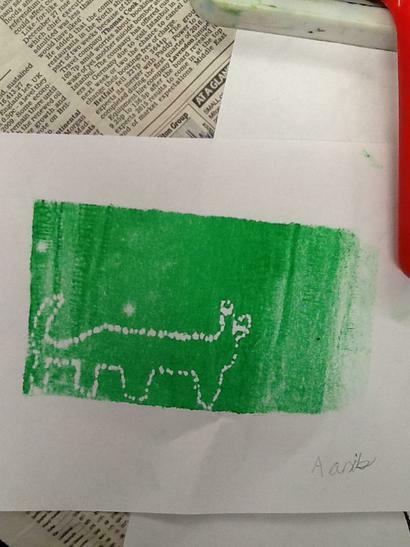 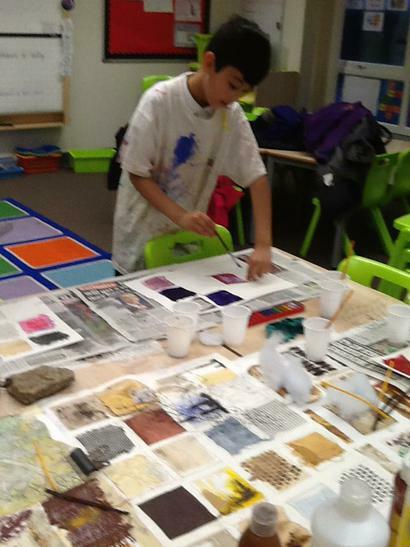 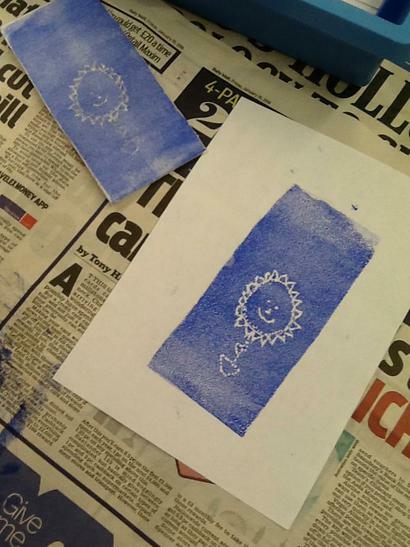 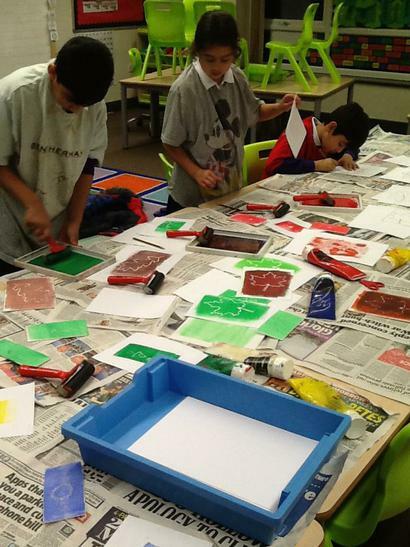 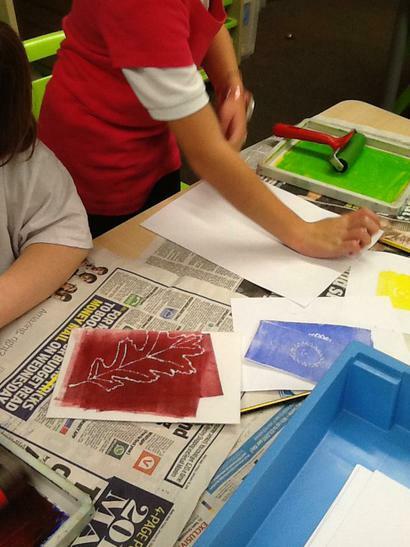 Great block printing today by Year 5! 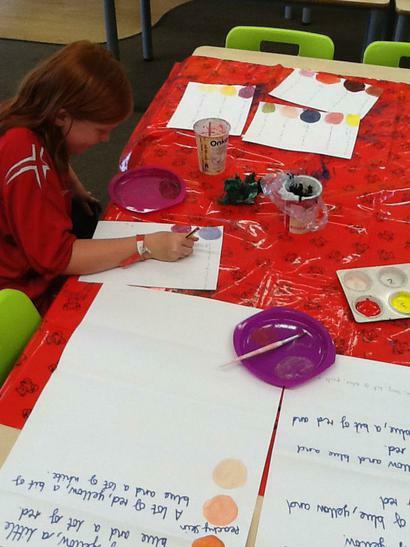 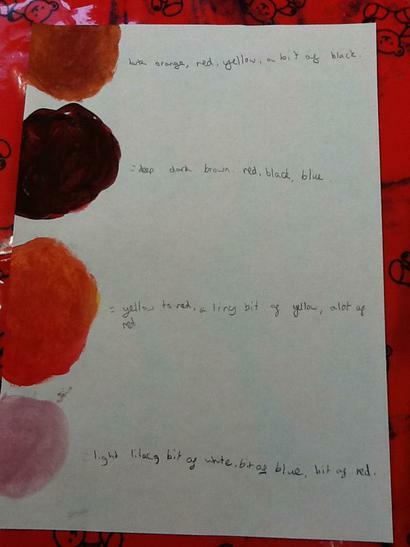 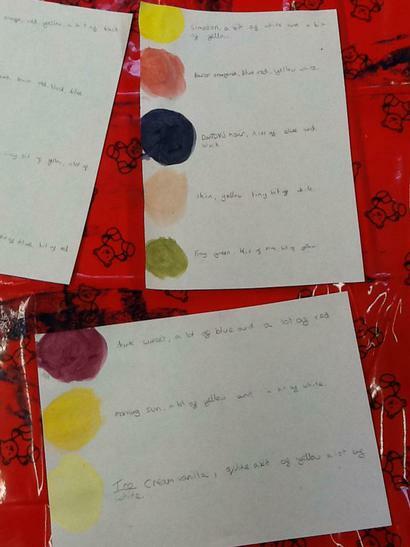 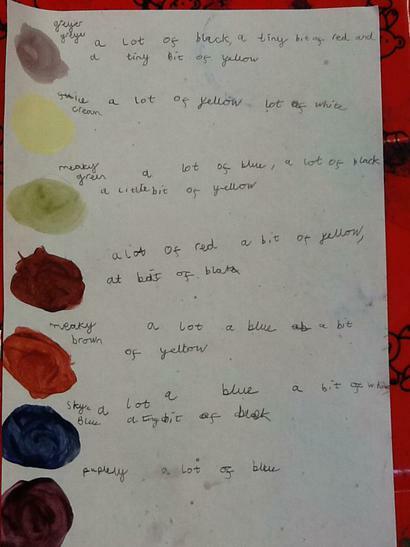 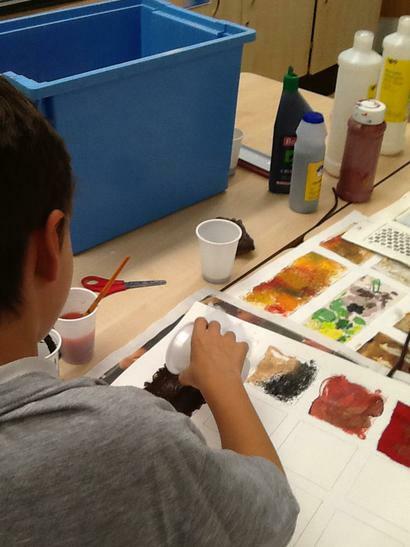 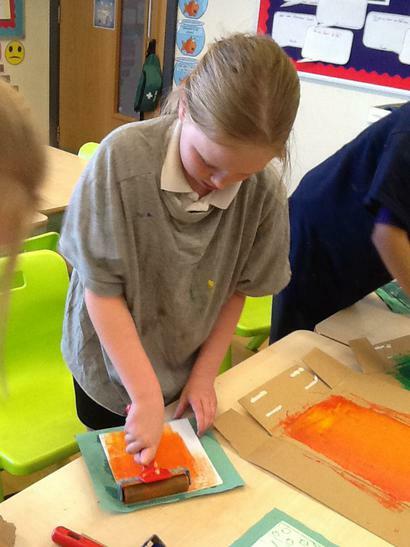 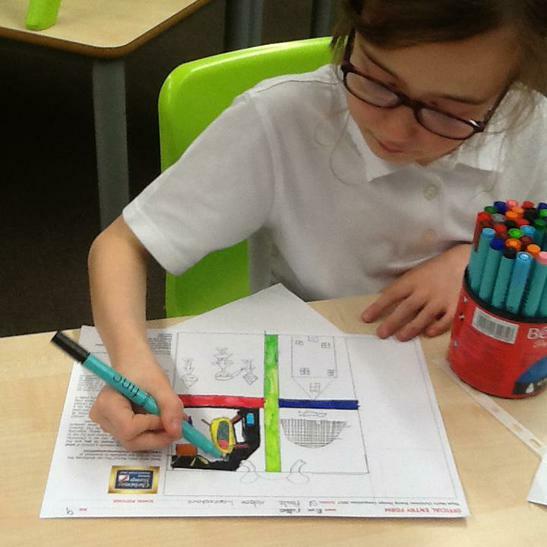 We mixed the primary colours to create our own inks to print! 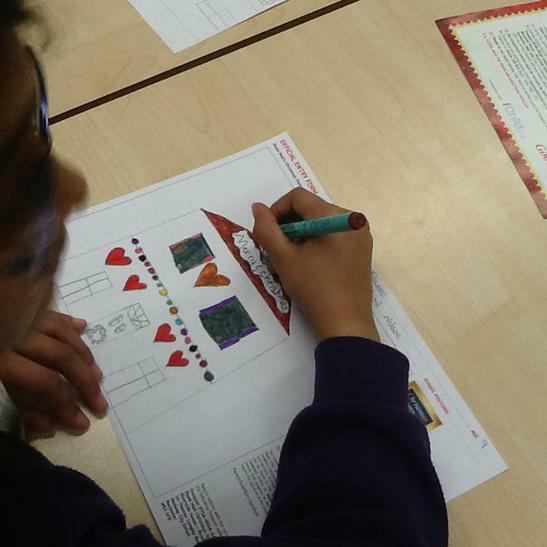 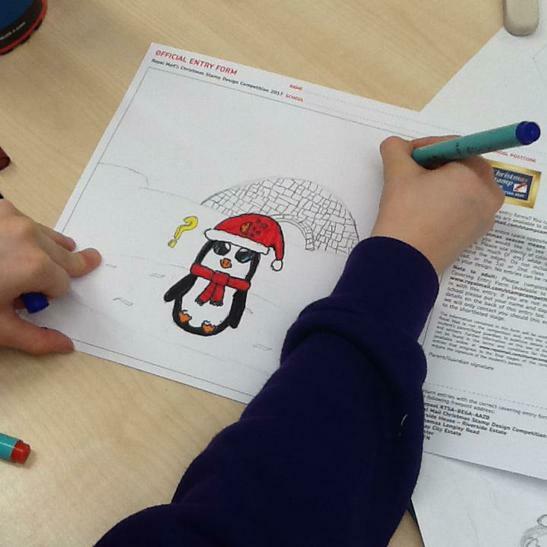 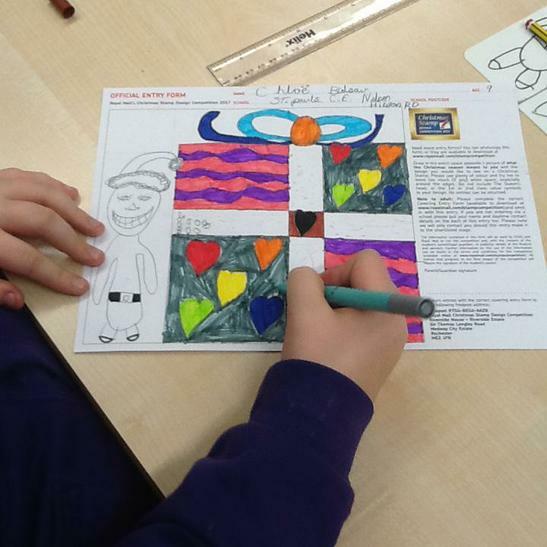 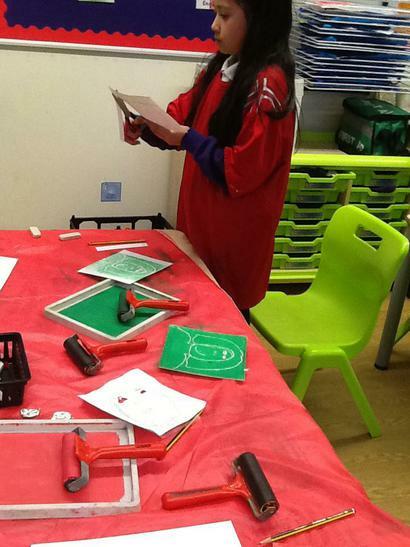 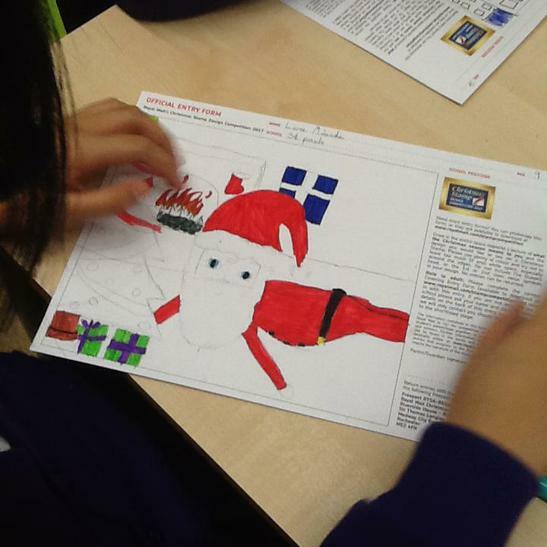 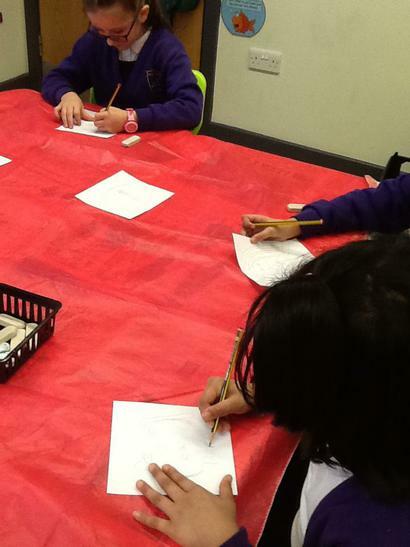 Working hard for the Christmas stamp competition.. 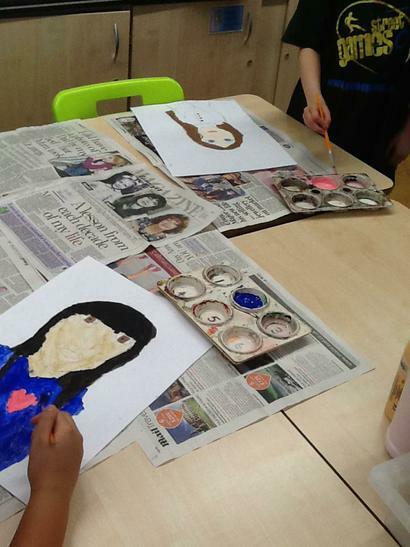 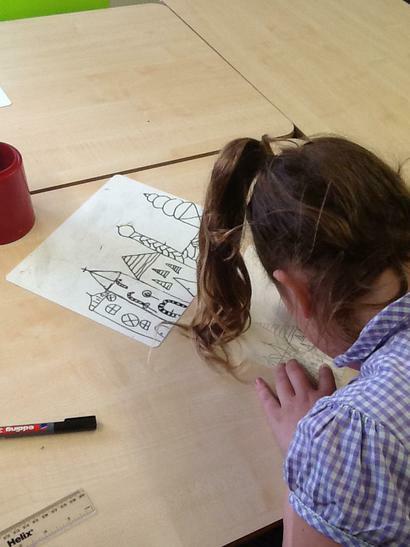 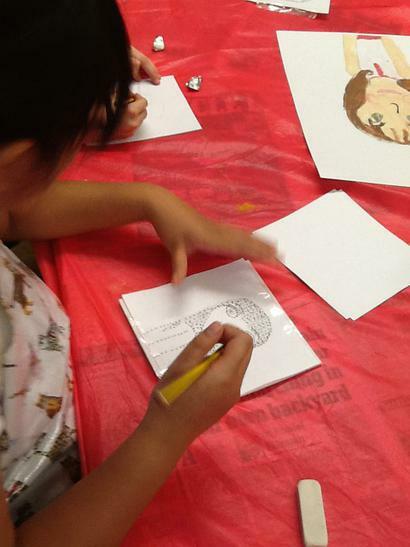 This half term these year 4 girls have been busy creating portraits. 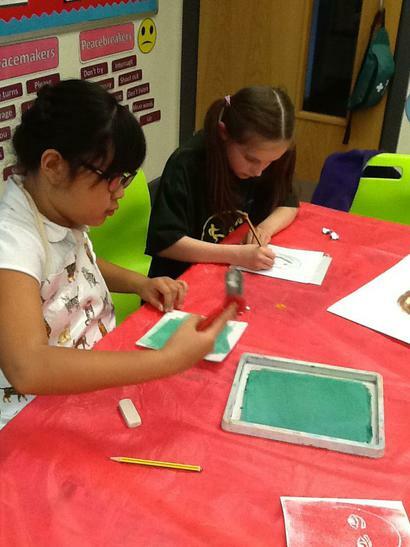 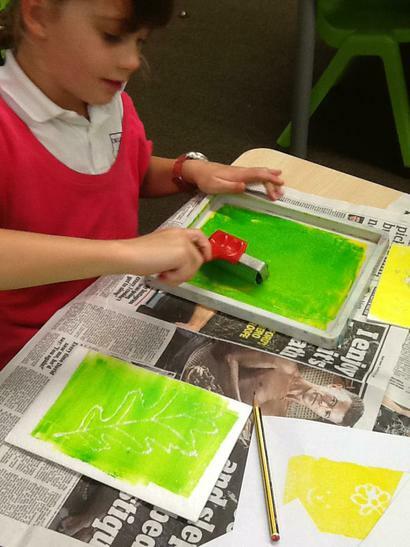 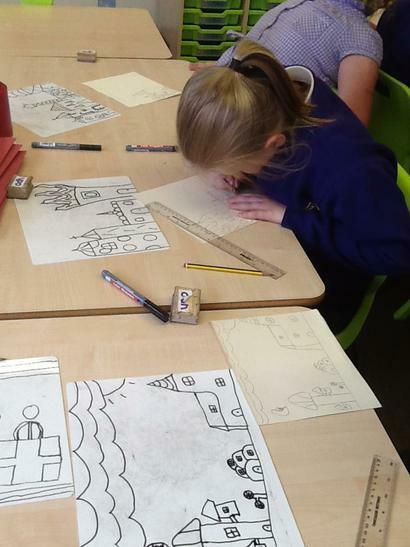 Today we created some mono prints. 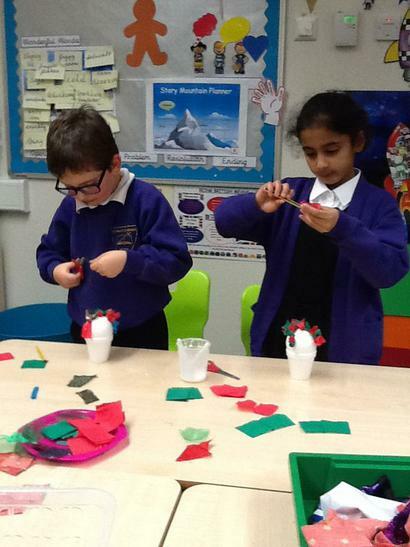 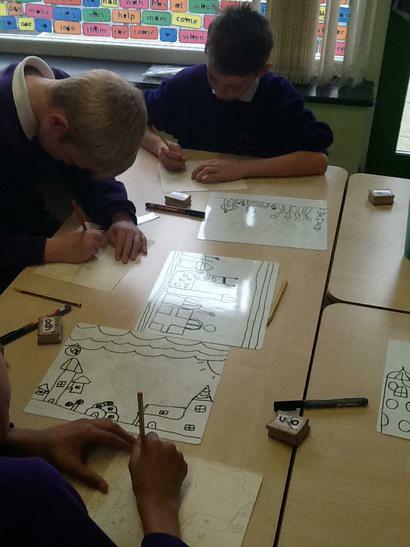 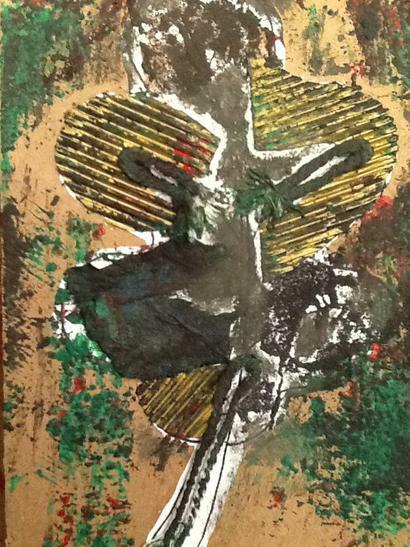 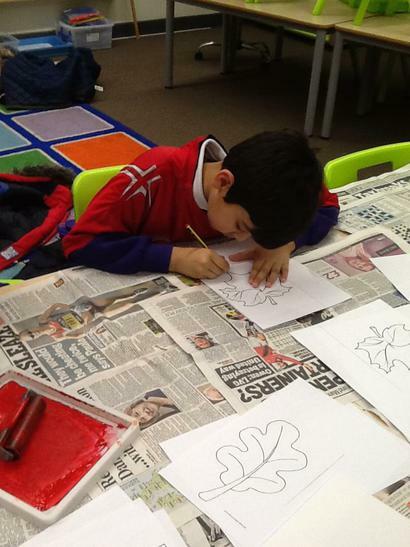 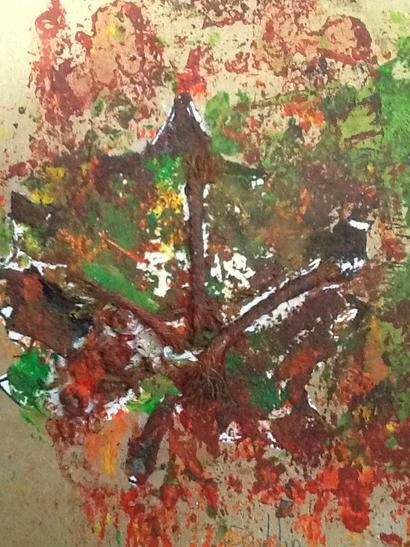 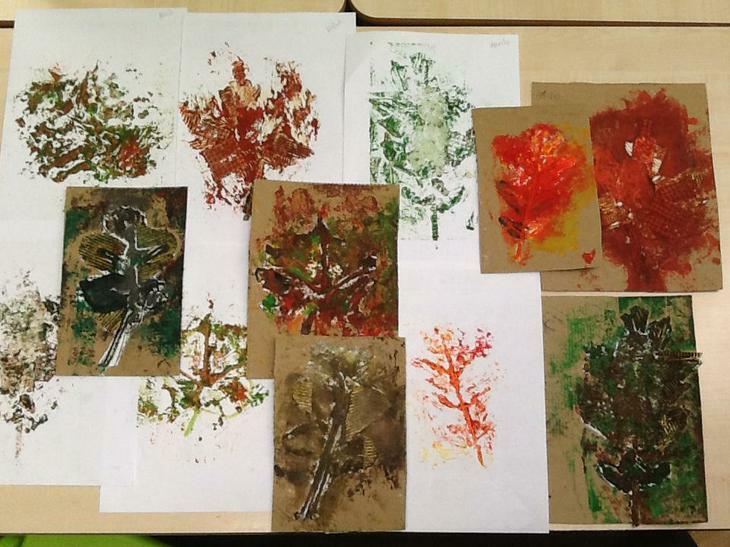 We created our own 'practice' ones and then we created some leaves. 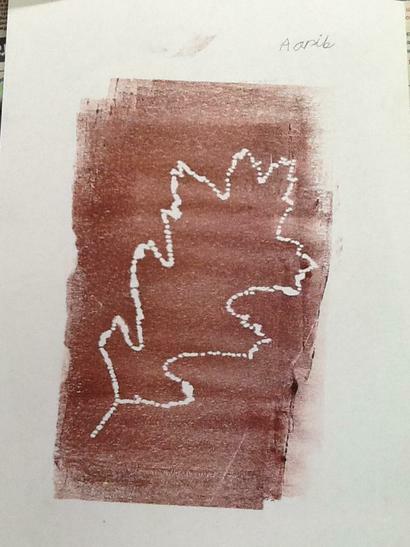 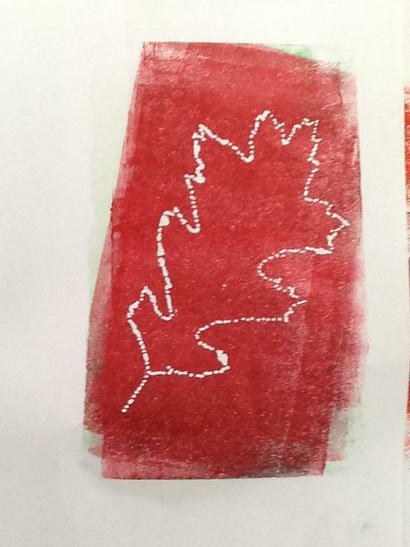 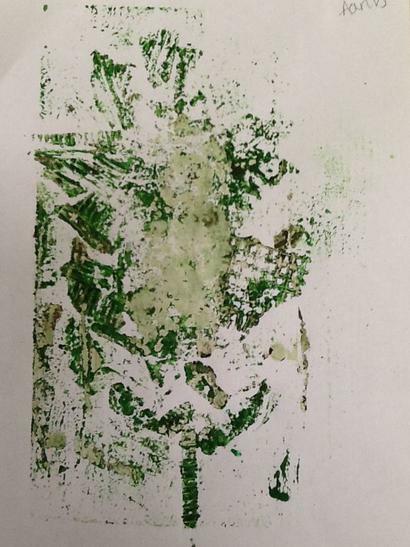 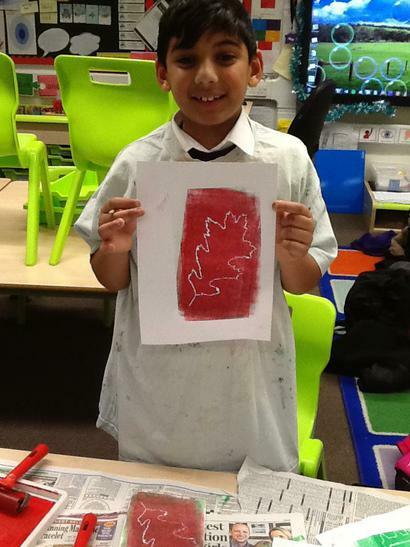 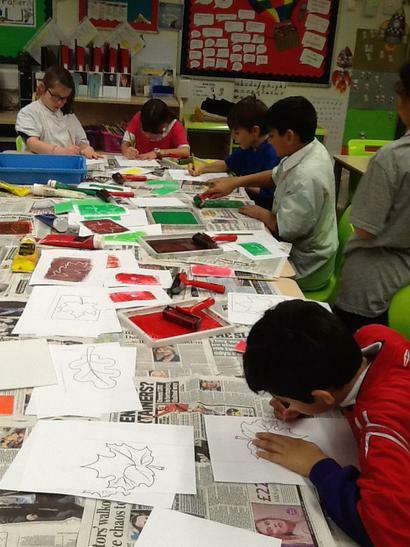 Check out some of our collograph prints..
Today we chose our own leaf designs and started to build texture onto our collograph printing plates. 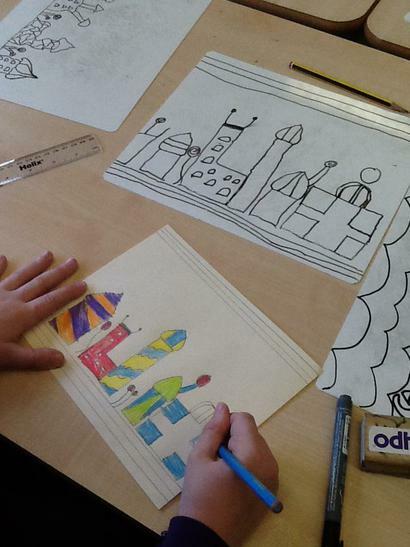 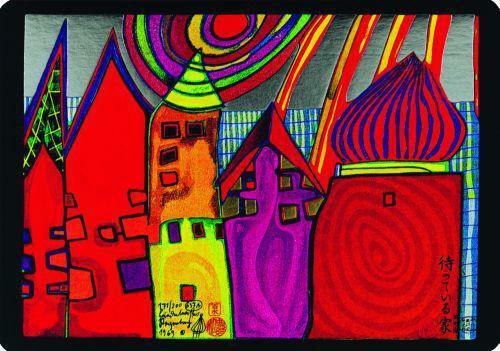 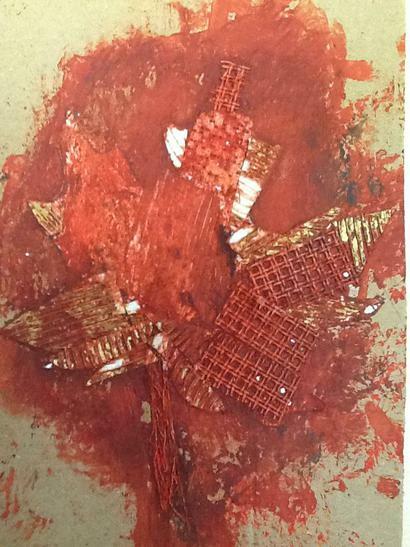 We used our textures from last lesson to inspire us with our collages. 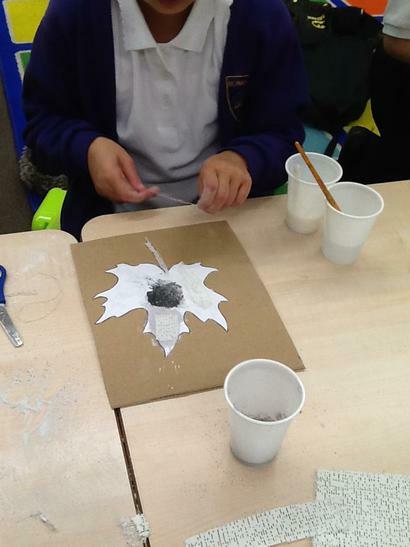 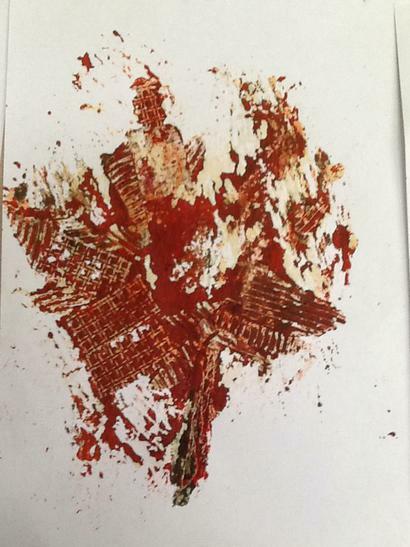 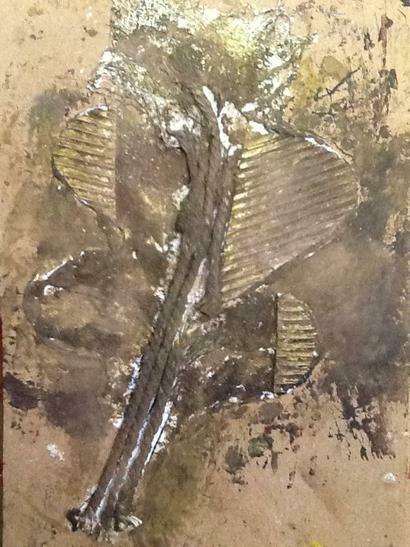 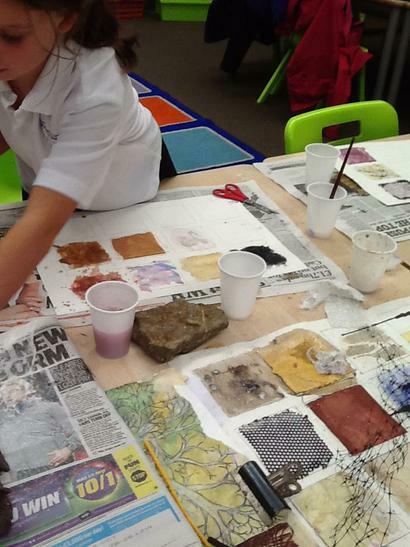 Year 3 started the year off by creating textures inspired by nature. 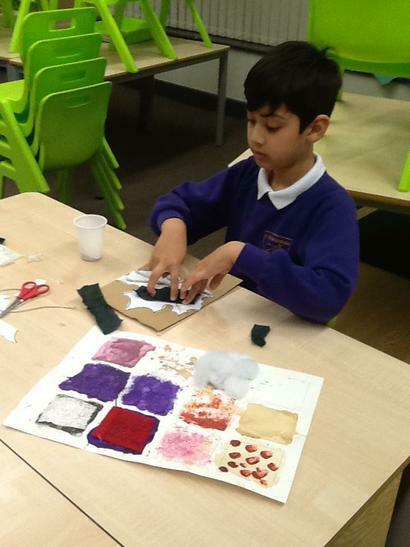 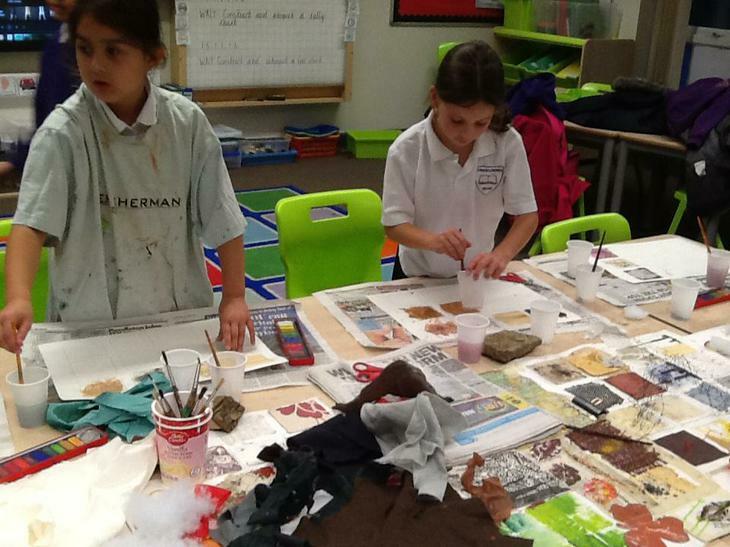 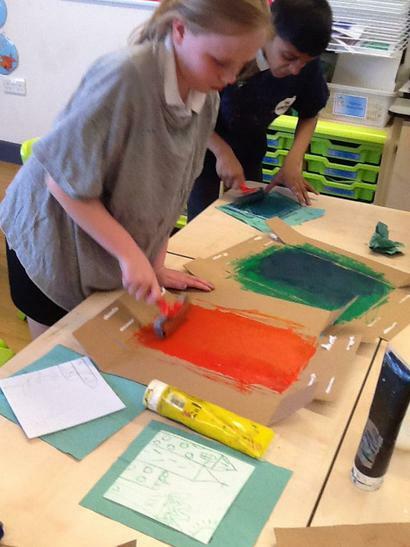 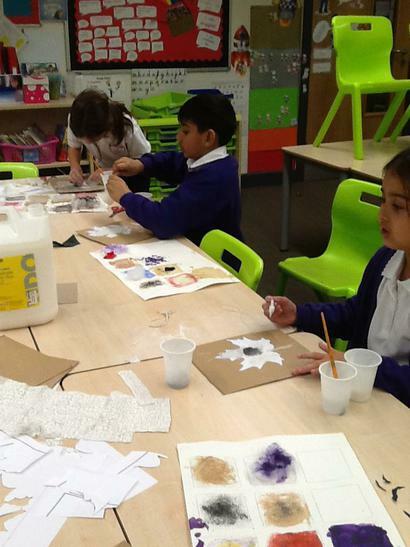 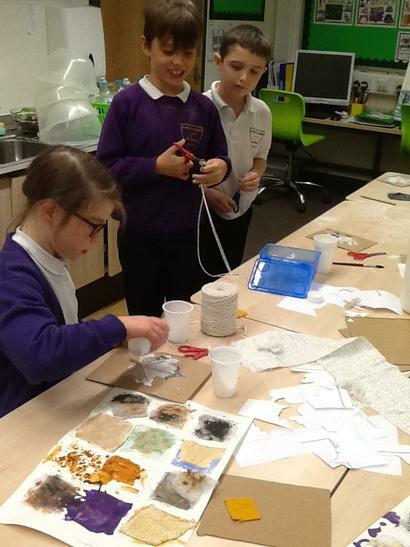 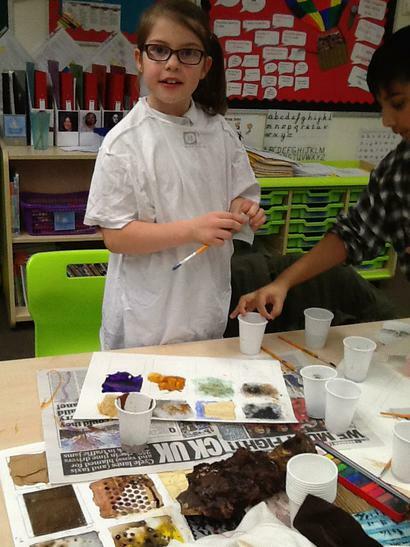 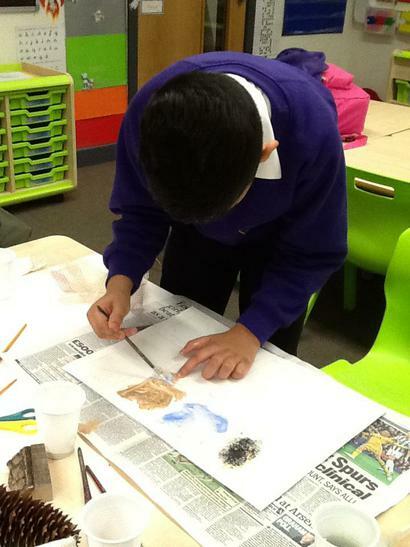 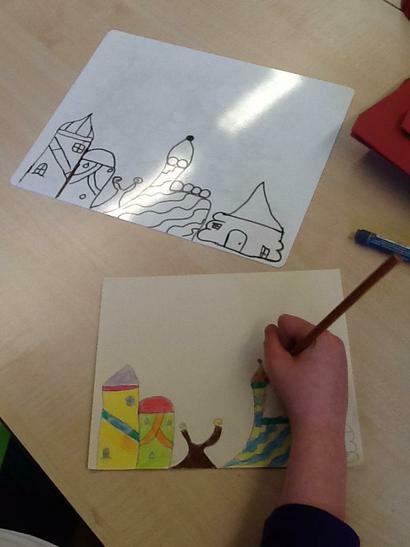 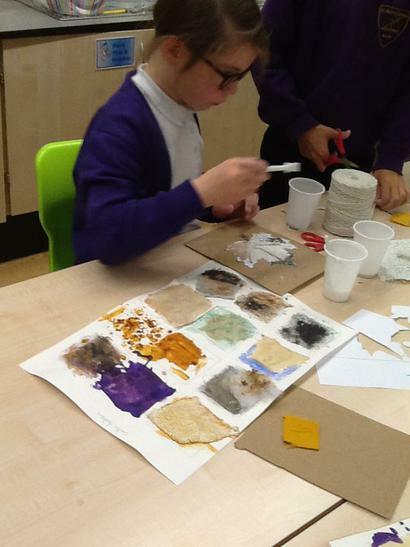 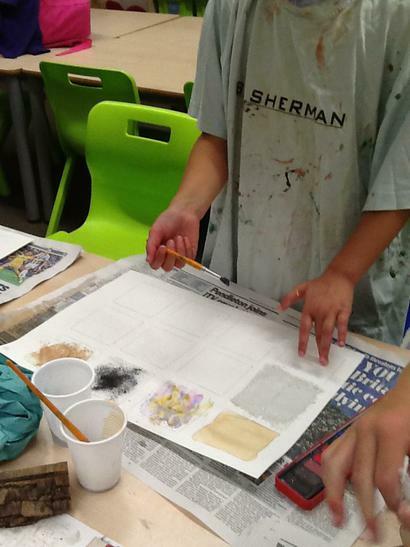 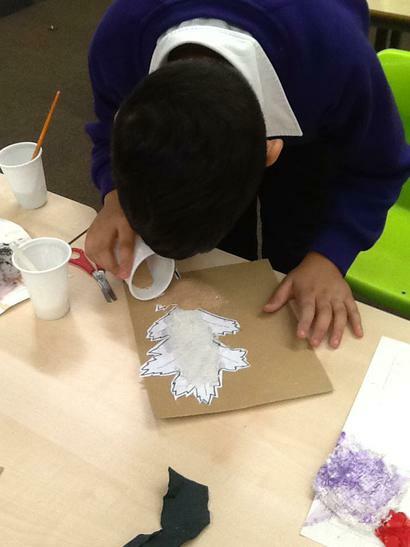 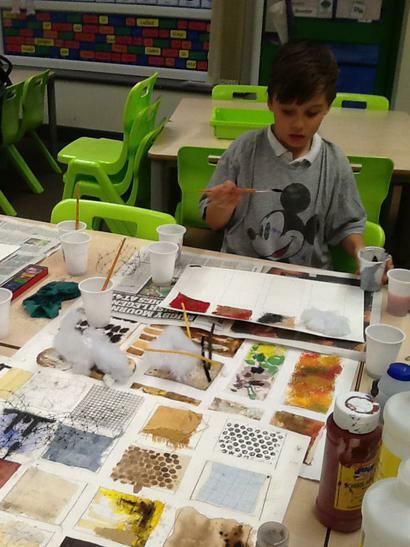 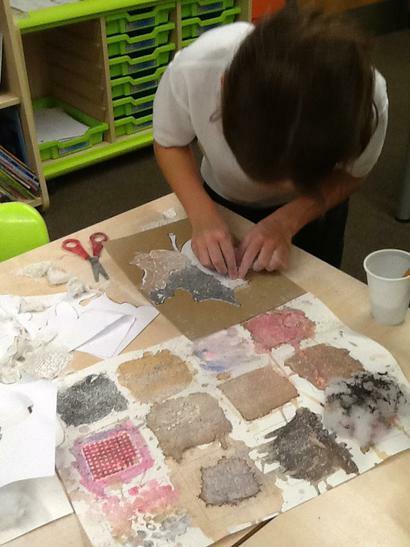 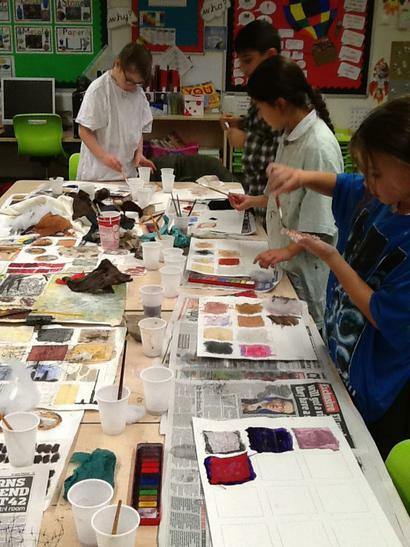 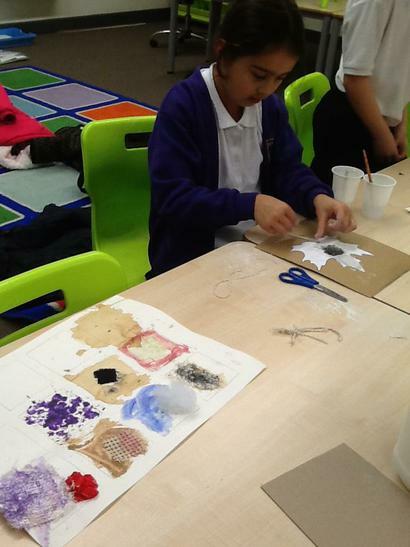 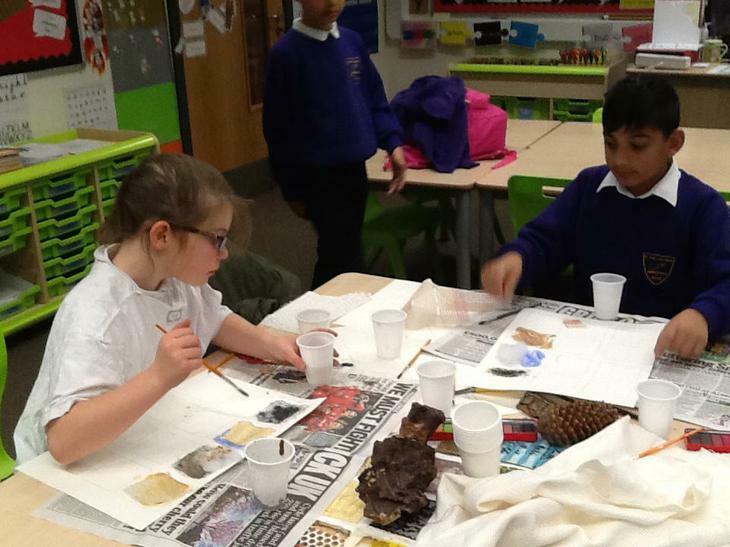 We used lots of different materials like modroc, sand, paint, mesh, fabric and even coffee - great work Year 3!